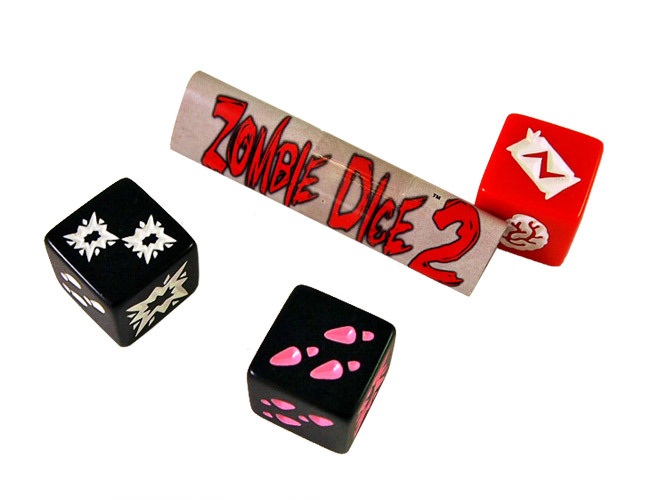 Zombie Dice 2 is a three dice expansion for the base game. It’s called “double feature” as in a Matinee Movie and Stars three new dice. the Hunk (let’s assume his name is Brad) : Lots of shotguns, including a deadly double shotgun, but also a double brain, so this dice is a real gamble when it turns up. In addition if he shoots you and you happen to have the Hottie or Santa Claus in your brain pile he rescues them and you lose their brains. 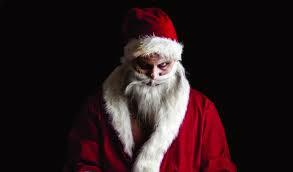 Boo hiss! he’s behind you etc. As expansions go, it’s a bit expensive for what you get. It’s a tenner or so for three dice and two of them are pretty boring. That said, if you’re willing to fork out it does fit in well with the base game and just like an object of beauty it’ll be a joy forever.